Today's episode is one of my favorite conversations I've had for the podcast. Legendary drummer/producer/songwriter Steve Jordan surveys his incredible career, from the albums that first inspired him to pick up drumsticks as a child to the songwriting lessons he was taught by Keith Richards, being put through his paces by James Brown on the Letterman show, why he became a producer, his band The Verbs, his love of punk rock, what he loves about playing with Neil Young and much more. 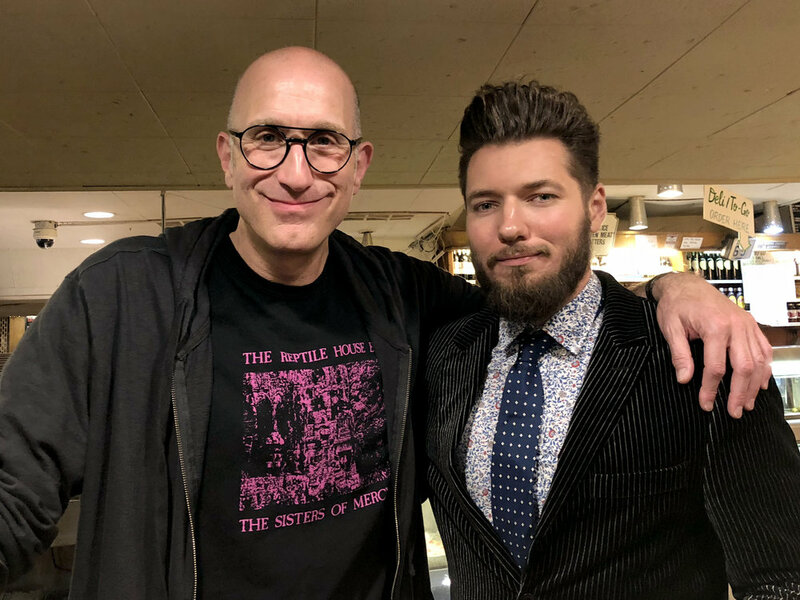 It's a wide-ranging chat filled with great anecdotes and insight from one of my all-time favorite musicians, and I could've talked to Steve for ten times as long easily. - The Verbs on Facebook and iTunes. We talk about how this captures the Beatles in a transitionary period, how they are starting to break out of the mop top era into more sophisticated and diverse musical and lyrical adventures. Plus Jeff and Jeremy open up about the how and why of My Favorite Album's existence, dream guests, the best episodes for newcomers to start with and more. Thanks to everyone who's been with us for the past five years, or even just for one episode, and hopefully we'll be here for another 250 episodes and more. - Jeff Greenstein on Twitter and Instagram. #249 - Lindsay Ell re-recorded John Mayer's 'Continuum' in full. This is how she did it and what it taught her. While making her 2017 album 'The Project', Canadian country star Lindsay Ell was given an assignment by her producer, Sugarland's Kristian Bush. Take her favorite album - John Mayer's 'Continuum' - and re-recorded it front to back, playing every part herself. 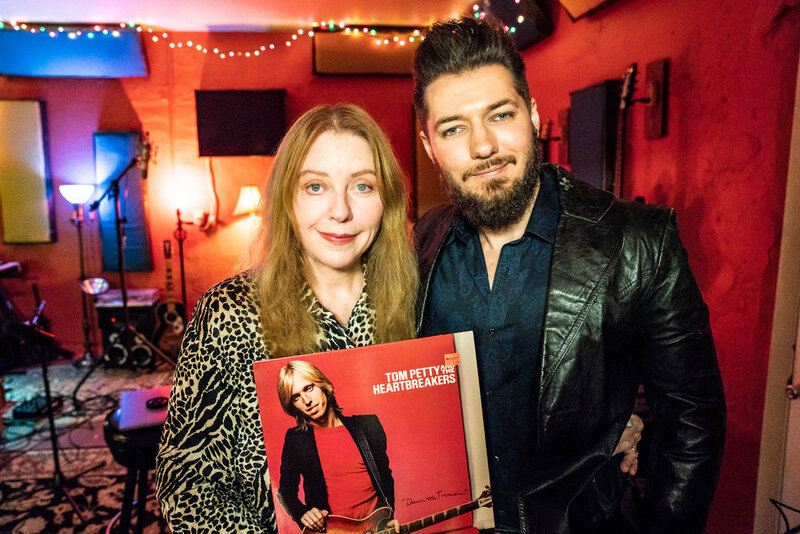 Today Lindsay takes us through the process of breaking down the album that has most inspired her, how she created her own version of the songs and what the process taught her as a guitarist, singer, songwriter, producer and fan. - Lindsay Ell on Facebook, Instagram and Twitter. 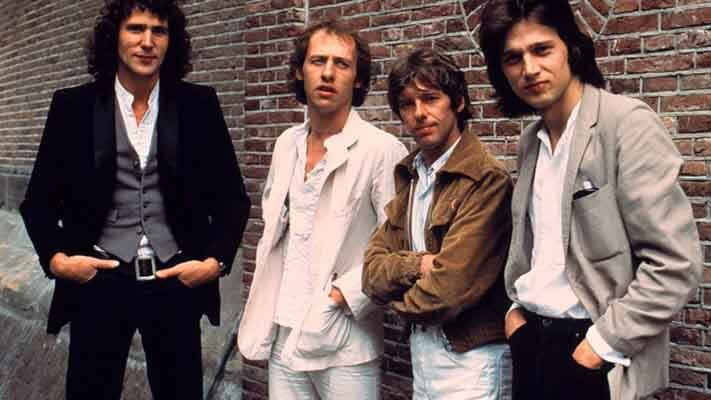 Dave Williams, drummer of one of Australia's most acclaimed bands Augie March, joins me to discuss the debut self-titled album of idiosyncratic British rockers Dire Straits. Trace the American and English influences of the band, Dave makes the case for the record as a concept album, he reveals which members of Augie March like and hate the band, we speculate about Dire Straits' recent bizarre induction ceremony for the Rock'n'Roll Hall of Fame, talk through the Spinal Tap like list of Dire Straits drummers, the journalist eye of Mark Knopfler's lyric writing and more. - Augie March on Facebook and Twitter. Sady Doyle is the author of "Trainwreck: The Women We Love to Hate, Mock, and Fear . . . and Why". She joins me on the podcast for a deep dive celebration of the great Tori Amos and her classic album 'Boys for Pele'. We get into it all - gendered slagging off of Tori's music, why her live shows were the original safe space for traumatised outsiders, the conceptual underpinnings of the album, Sady's cameo on one of Tori's live albums, Tori's unheralded influence in modern pop music and much much more. Plus we recap the Twitter furor ignited by a seemingly innocent tweet from Sady about REM. - Sady Doyle on Twitter. Canadian singer-songwriter-guitarist Terra Lightfoot joins me to talk about Jackson Browne's classic chronicle of life on the road 'Running on Empty'. We talk about how the album was recorded live across Browne's US tour, the different aspects of touring life reflected across the songs, discuss what is the best song named 'Cocaine Blues', why Browne sued the Republican Party for using the title track and Terra recounts her night-long tequila-fueled jam session with Jackson himself. - Terra Lightfoot on Facebook, Twitter and Instagram. Today's guest literally wrote the book on The Replacements, and today he reveals the inside story of the making of 'Tim', their 1985 album that marked a significant step forward in the band's music and career. Bob explains how the album reflects the power shift between Bob Stinson and Paul Westerberg, what Bob uncovered about the making of Tim while writing ‘Trouble Boys’, why Paul Westerberg is smarter than he wants to let on, why the rest of Bob’s life will be forever linked to the Replacements, how writing the book changed Bob’s relationship with the album, what not to do when writing a music book and more stories and insights in to the personalities and music of the 'Mats. - Bob Mehr on Twitter and Instagram. ARIA-winning Australian singer/songwriter Sarah Blasko takes us back to 1997, when she fell in love with the strength and dynamism of Bjork's album 'Homogenic'. We talk about inheriting a love of Bjork from her older sister, her unfortunate encounters with Bjork in 2008 when they were sharing a festival bill, the icy sonic world Bjork creates on the album, and how the humor and life ambition gave her inspiration in her own path. Australian listeners can catch Sarah on her national tour over the coming weeks. Head to https://www.sarahblasko.com/shows/ for details. - Sarah Blasko on Twitter, Instagram, Facebook. 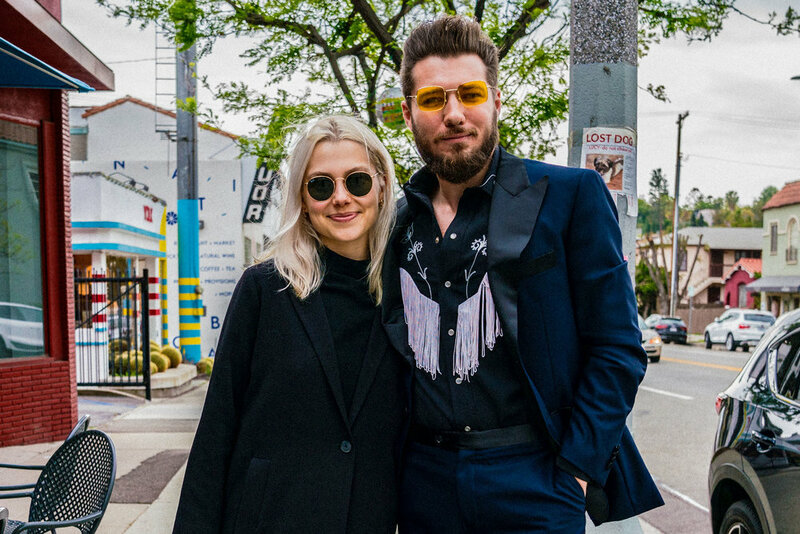 LA singer-songwriter Phoebe Bridgers joins me to celebrate a classic album of the mid-naughties, Bright Eyes 'I'm Wide Awake, It's Morning'. We talk about why Phoebe resisted listening to the album before falling in love with it, how it changed the way she writes songs, where Bright Eyes fits in the 'emo' pantheon, why she can't listen to the songs on shuffle and whether the current political nightmare is influencing her writing the same way the Bush administration influenced Bright Eyes in 2005. 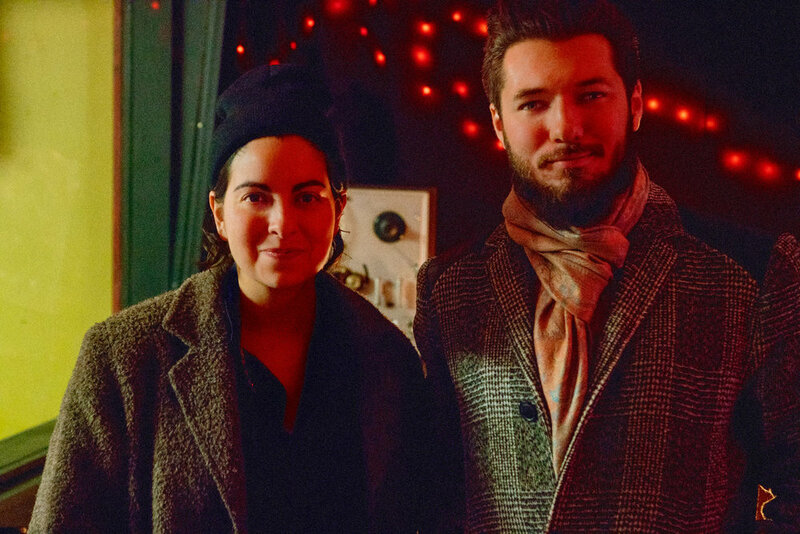 Plus we talk about her friendship with Bright Eyes frontman Conor Oberst - what it's like to play Bright Eyes songs with him on tour, how Emmylou Harris inspired Phoebe to duet with Conor on her own album, how knowing Conor changes the way she listens to Bright Eyes and more. - Phoebe Bridgers on Twitter, Instagram, Facebook. Singer-songwriter, multi-instrumentalist and one of Western Australia's favorite sons Jay Watson (GUM, Pond, Tame Impala) joins me to talk about how the sonic world of Sly and the Family Stone's classic 'There's A Riot Going On' has inspired him through the years. We talk about why his uncool taste as a kid has become retroactively cool, liking music because of the context around it, glamorizing self-abuse in musicians, whether you’d be willing to sacrifice great art for the health of your musical heroes, the importance of making creative mistakes, people whose whole identities are defined by their musical taste, which band the fans at his gigs look like and why he thinks time is kind to almost all music. - GUM on Twitter, Instagram, Facebook. In a special episode, returning guest Eilish Gilligan joins me to rave on six Aussie artists who are on the verge of making it in the US and why our international listeners should jump on them right now! Plus I talk to Eilish about her own great new single and the arresting visuals that go along with it. Watch the interview with Gang of Youths' Dave Le'aupepe I alluded to in the episode here. - Eilish Gilligan on Twitter, Instagram, Facebook. Oh Mercy, aka Melbourne singer-songwriter Alexander Gow, joins me for our first examination of one of Australia's most beloved bands, the Go-Betweens, and their album 'Liberty Belle and the Black Diamond Express'. Alex talks about discovering the Go-Betweens in high school as he was just starting to write songs, their ‘inviting, un-elitist’ magic, Lindy Morrison’s amazing atypical drumming, the thread between the Go-Betweens and Burt Bacharach, whether Alex is a Grant or Robert guy, the influence of the humor and literary quality of Go-Betweens lyrics and the best thing about imitating greatness unsuccessfully. Plus, we talk about how he comes up with the unique titles of his records, why he still issues his albums on vinyl and what it's like to have your records reviewed by your musical heroes. Oh Mercy's latest album 'Cafe Oblivion' is out now. - Oh Mercy on Twitter, Instagram, Facebook. Journalist, podcaster, author and friend of the pod Andrew P Street returns to My Favorite Album to delve into the subject and process of his new book 'The Long and Winding Way to the Top: 50 or so songs that Made Australia'. Andrew takes us on a musical history of Australian culture since the birth of rock'n'roll, from JOK to AC/DC, Yothu Yindi to The Presets - telling the story of tectonic shifts in society, politics and more through the iconic songs that soundtracked those shifts and more. This episode should be a great entry point into the classic songs of Aussie rock and pop for our international listeners and might make some of our Australian listeners see some of these songs in a new light. - Andrew P Street on Twitter, Instagram, Facebook. Australian country music's premiere power couple, Adam Eckersley and Brooke McClymont, join me to discuss their join favorite album - James McMurtry's 'Too Long in the Wasteland'. They talk about how they each fell in love with the album, the music they each love and that gets on the other one's nerves, Adam's passion for McMurtry's lyrics, the John Mellencamp production, why they've avoided finding out too much about McMurtry's personal life and why they will never cover any of these songs live. - Adam and Brooke on Instagram, Facebook. 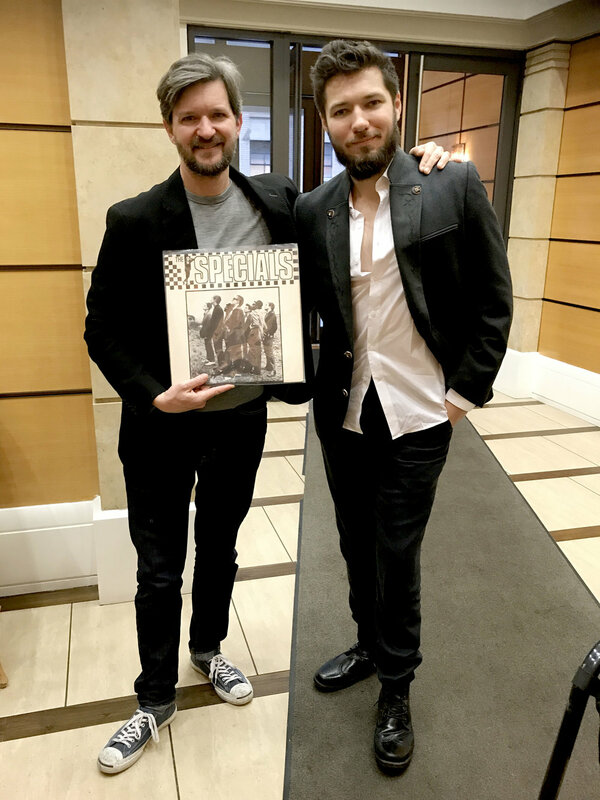 Journalist and Jann Wenner biographer Joe Hagan returns to the podcast to talk about his favorite album, the 1979 self-titled debut of new wave ska revivalists The Specials, and how the mixed-race British band spoke to Joe as a kid in the rural mid-west. - Joe Hagan on Twitter, Facebook. On this off-formate episode, journalist Joe Hagan joins me to talk about one of the best music books of last year, his biography of Rolling Stone magazine and its founder Jann S Wenner. We discuss his unique experiences interviewing Paul McCartney and Bob Dylan, the mutually exploitative relationship between Wenner and Mick Jagger, the future of both Wenner and Rolling Stone, how he found an ending to a story that is arguably not yet over, and the parallels between Jann Wenner and a certain orange haired President. One of Australia's most arresting singer-songwriters, neo new waver Olympia, joins me to celebrate cult icon of punk funk Betty Davis. We talk about Davis's progressive sexual politics, her transgressive lyrics, what hasn't changed for artists like Betty Davis since the 70s, Iggy Pop's BD cover and how Davis has influenced Olympia's own music. - Olympia on Twitter, Instagram, Facebook. The brilliant poet and essayist Hanif Abdurraqib breaks the emo seal on this podcast and joins me to talk about My Chemical Romance's 2006 classic concept album 'The Black Parade'. We talk about the twin influences of Pink Floyd and Queen on the record, how it deals with the afterlife, why it skirts the problematic gender politics of many emo albums, how to write about death and grief and whether Hanif is afraid of dying. We also get the lowdown on Hanif's upcoming book about A Tribe Called Quest and discuss why Bruce Springsteen's audiences are so often dominated by white people. - Hanif Abdurraqib on Twitter, Instagram, Facebook. It's rare that a guest chooses an album from the last few years as their favorite, but that's the case with Nashville singer-songwriter Becca Mancari, who wields subtlety and tension as deftly as Big Thief on their outstanding 2017 album 'Capacity'. Becca opens up about why the record had such a big impact on her, how it's influencing her new music and forcing her to confront the most difficult subjects to write about. - Becca Mancari on Twitter, Instagram, Facebook.